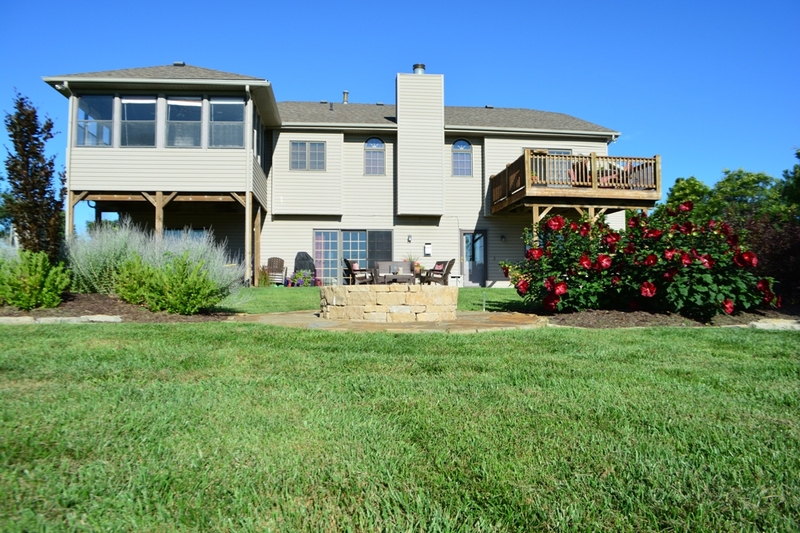 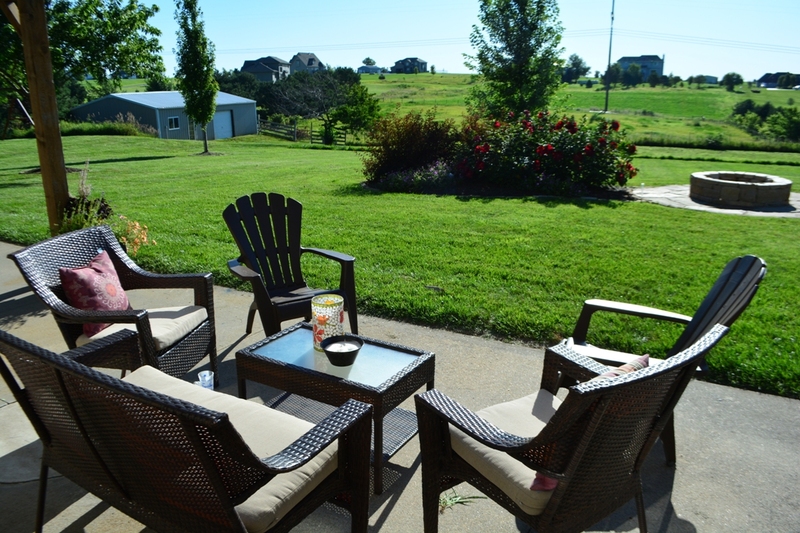 This Gretna property had an existing 3 season porch, patio area and a number of maturing trees on property. 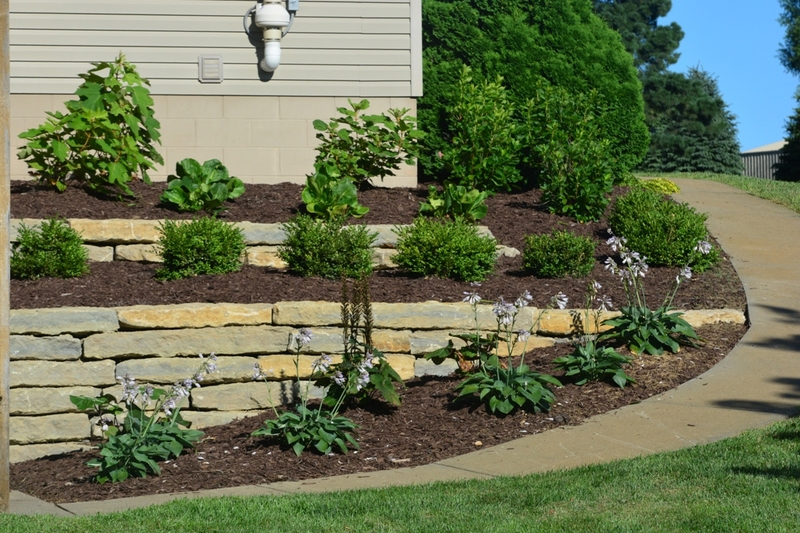 However, the client was looking to update the look of the site and update the plantings to bring some cohesiveness to the design. 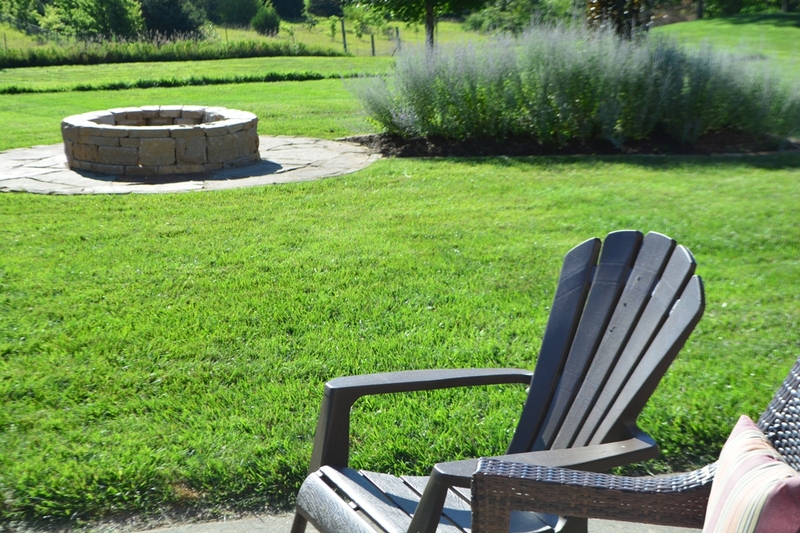 We phased the project over two seasons to keep in line with the client’s budget, and the results were successful merging first and second season upgrades into one seamless result. 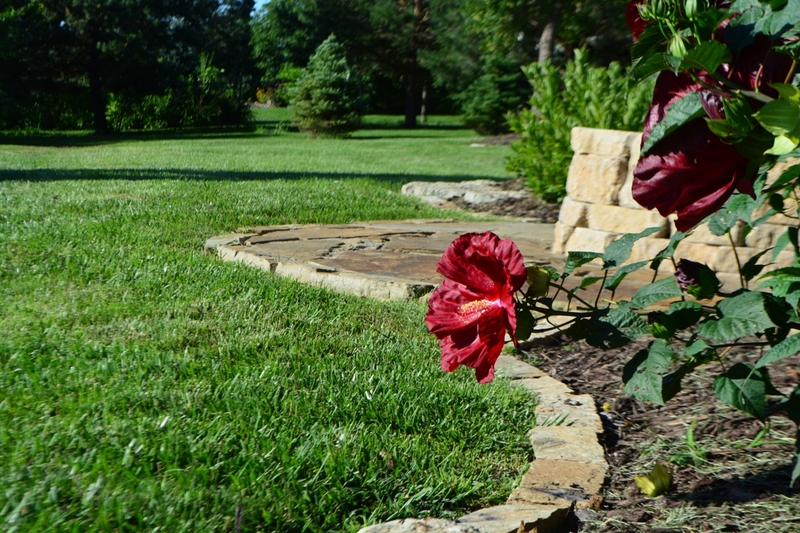 This phasing provided the secondary benefit of allowing focused attention to an area of plantings to allow them to get established on a fairly open, windy site. 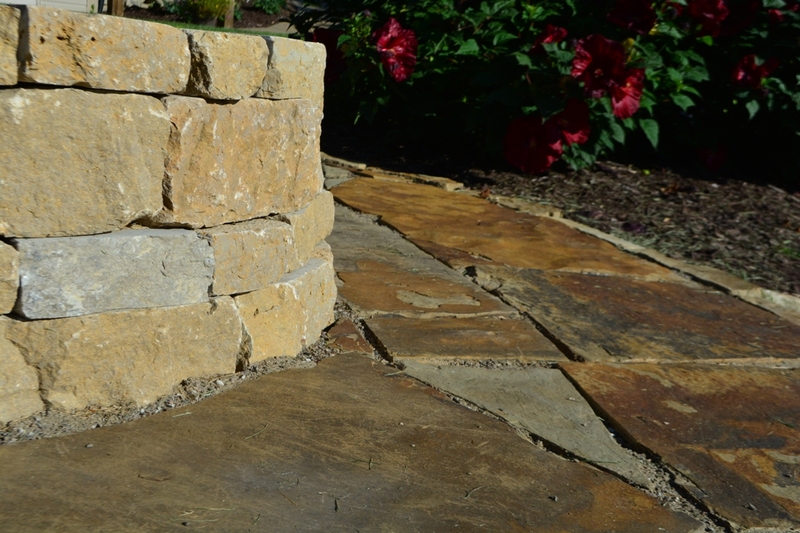 An existing timber wall was demolished and replaced with stacked limestone outcroppings to turn an eyesore into a rustic feature of the property. 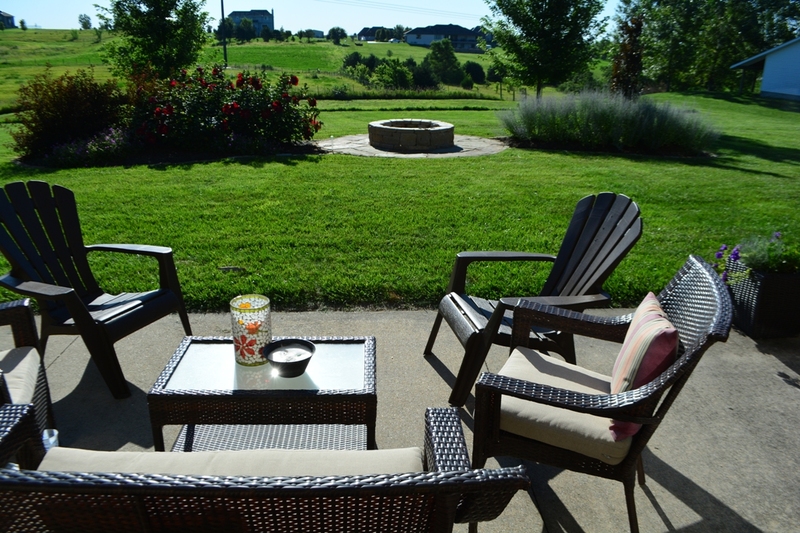 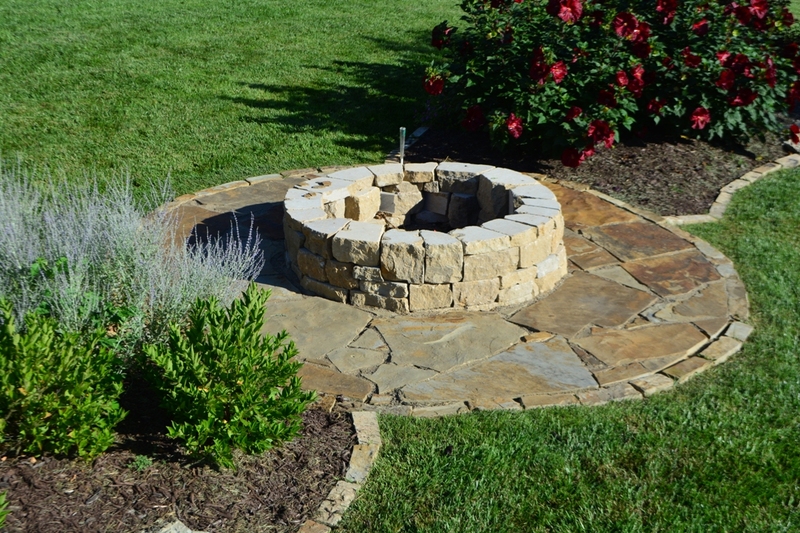 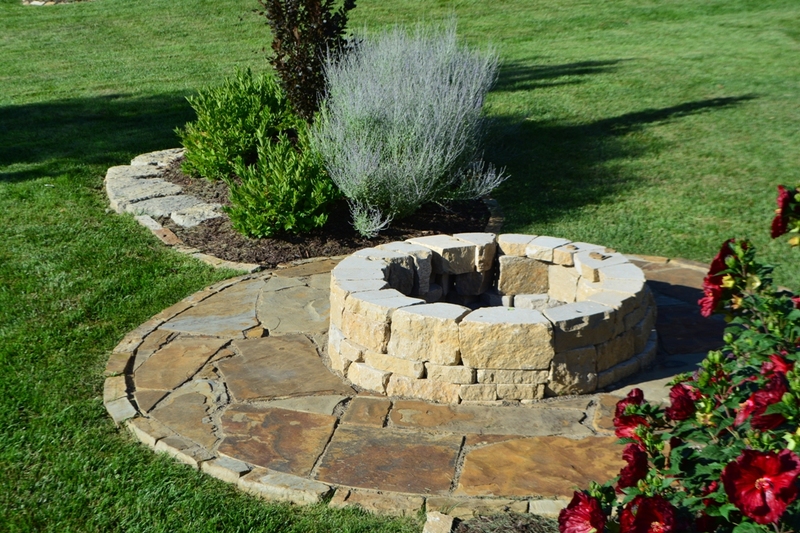 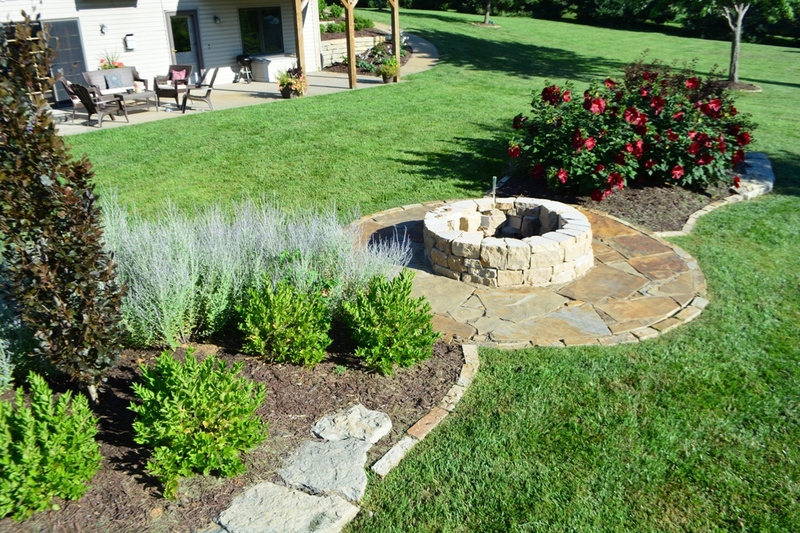 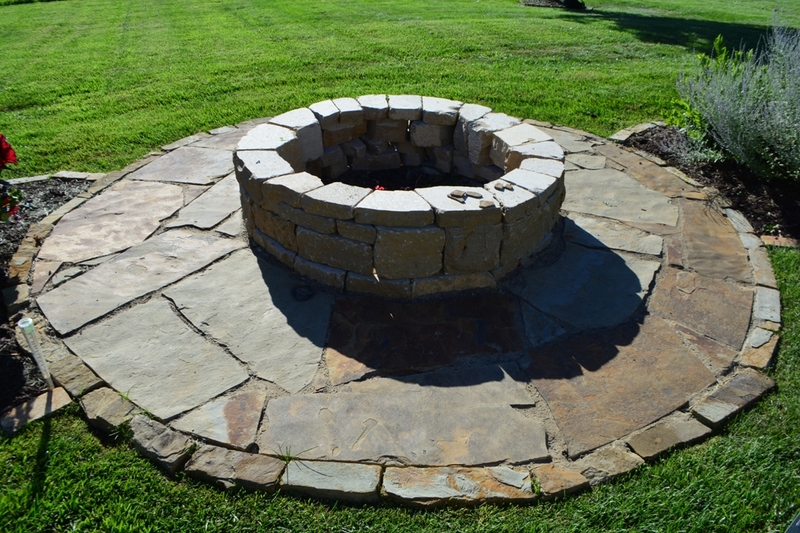 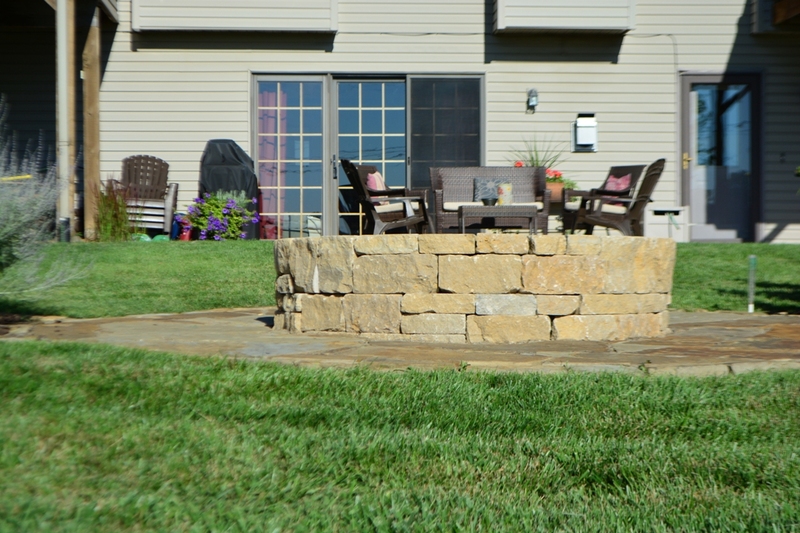 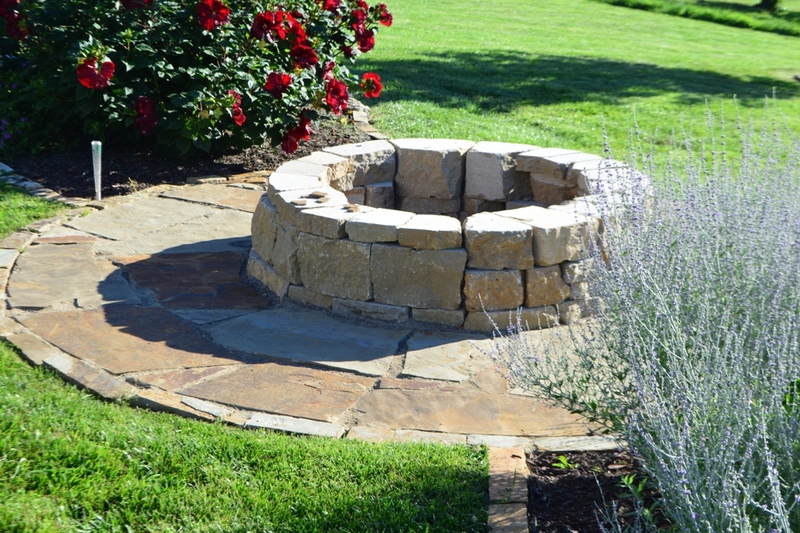 The client was already using an area in the yard to have small bonfires, this area was transformed with a stone firepit and flagstone patio as a gathering spot. 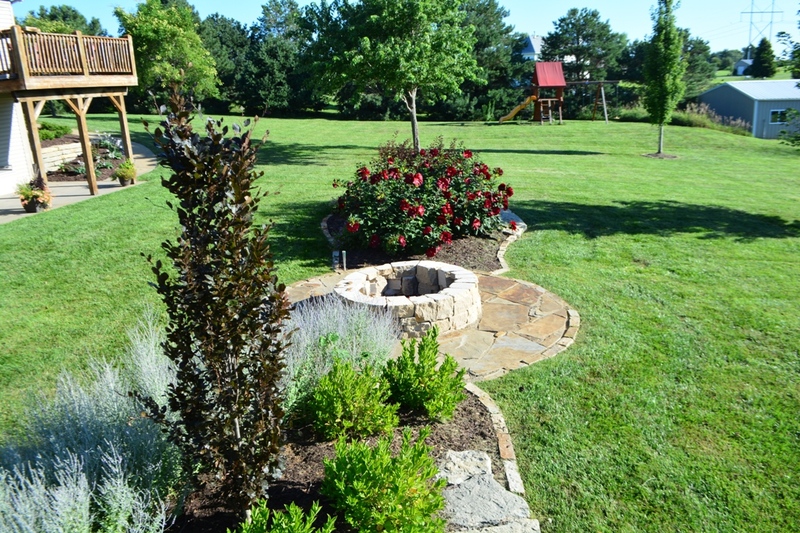 Adding planting beds allowed for color and texture and a transition area between the entertaining area and the expansive property and views behind. 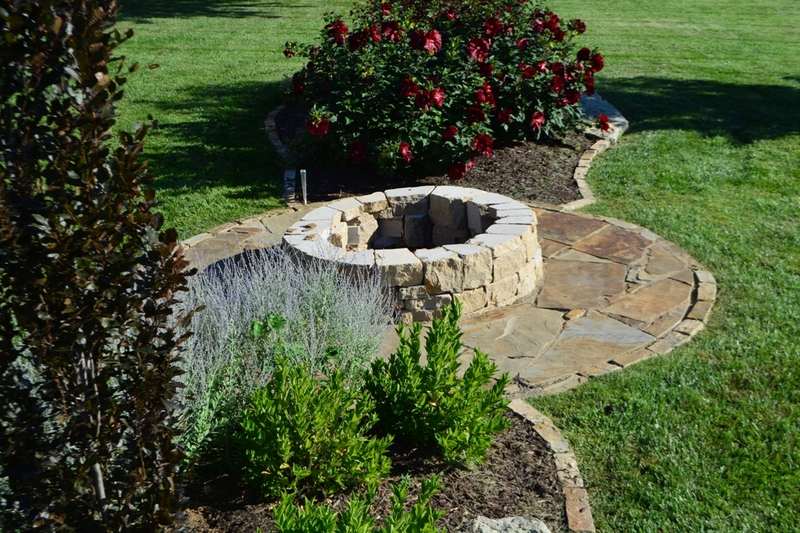 Shrubs and perennials were used to create separation while not blocking the sight lines from the patio and home. 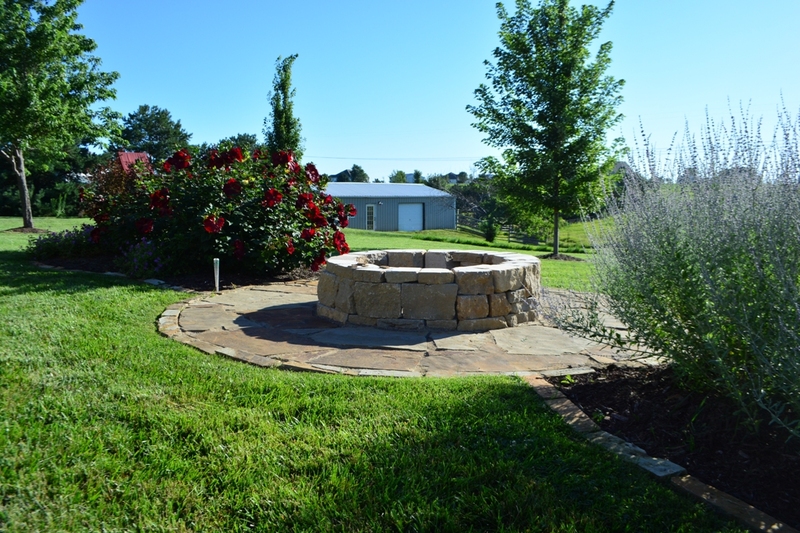 The beds also allowed some visual screening of existing utility access. 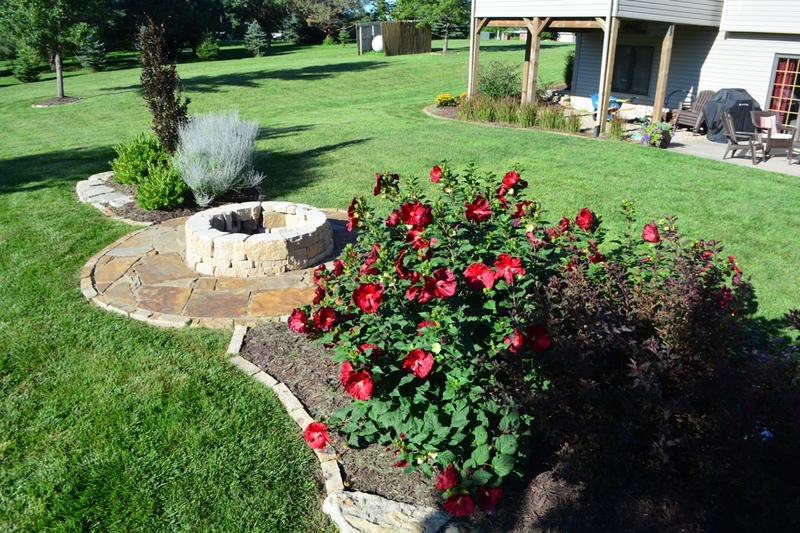 The plantings included a variety of blooming perennials and shrubs and included a number of shrubs selected for their showy fall color. 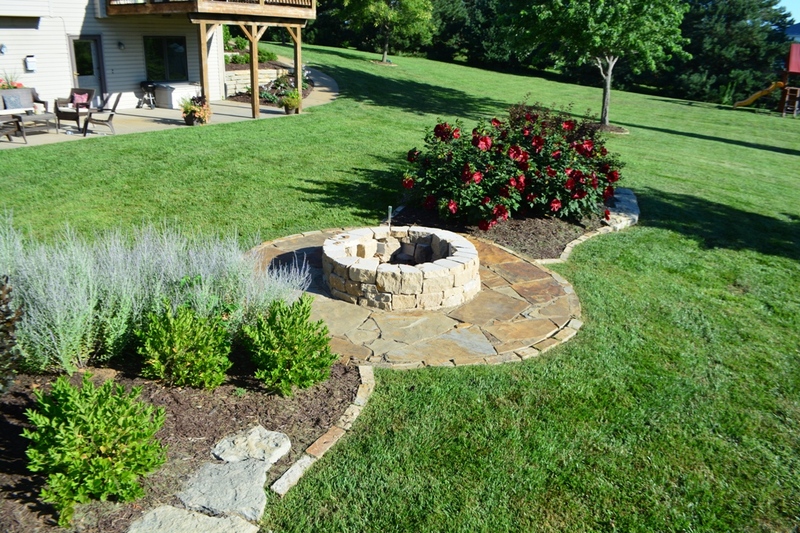 All planting beds and trees were edged with strips of flagstone to tie the existing landscape, new beds, outcroppings and firepit area together creating one unified composition.